Ever wanted to try living a healthy lifestyle but don't know where to start? Well, this is one of the easiest ways I know. The recommended daily intake of vegetables for adults is 5 - 6 serves. 1 serve is equivalent to about 1 cup of leafy greens/raw salad. You get tonnes of vegetables and all it's raw nutrients in this green juice. The best part, it doesn't even taste like green juice! My boyfriend doesn't particularly fancy eating vegetables, but he LOVES this green juice. Also, not to worry if you don't have a juicer. I'll show you how to make this green juice using a blender, it's easy! This juice contains a mere 5 ingredients. Kale, cucumber, apples, baby spinach and lemon juice. 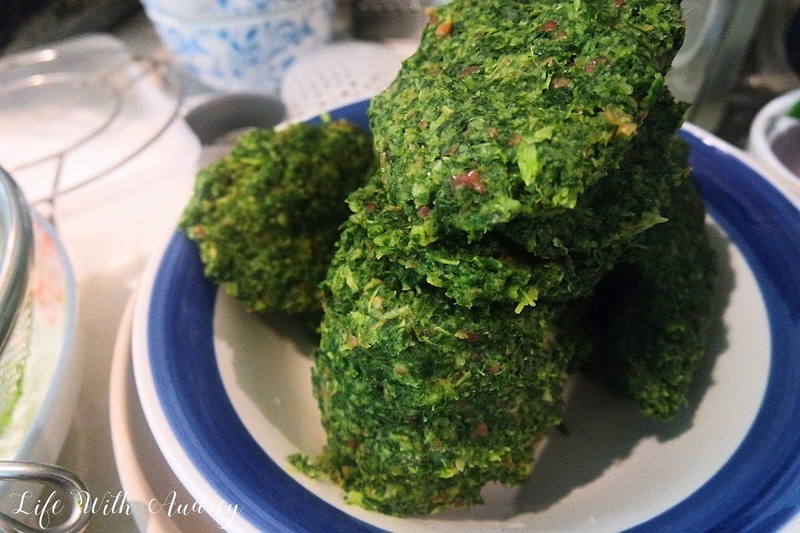 Chop the kale, apples and cucumber into small chunks to fit into blender. For this amount of ingredients, I had to blend in two batches so divide ingredients into two and add into blender. Squeeze the lemon above your opened palms so catch any falling seeds. Add a little bit of water to ease blending. Try not to add too much water or the juice will be diluted. Blend for 2 - 3 minutes until you get a smoothie-like consistency. At this point, you get a green smoothie and you can even drink it as it is! But I prefer it in juice form just cause it's easier to drink. 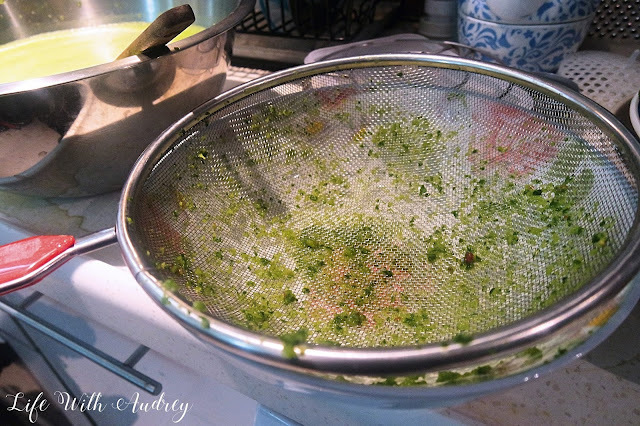 So, pass it through a sieve..
Usually, people throw these out but there are lots of good nutrients and vitamins in them as well. There are loads of recipes online showing you how you can use the vegetable fibres. I've tried one of them, and threw the vegetable fibre into some pancake batter. You end up with green pancakes, but it tasted great. It was hard to believe that the pancakes were actually healthy! After passing all the green "smoothie" through the sieve, you'll end up with GREEN JUICE. Pretty simple and a great, easy way to start a healthy lifestyle. Just a tip, since this green juice is fresh, you should store it in the fridge and for no longer than 2 - 3 days. By the 3rd day, you'll notice the juice isn't a vibrant green anymore but has oxidised slightly into a green-ish brown. Also, it is advised to store fresh juice in glass bottles as there are no chemicals in glass bottles. I use my VOSS water bottles to store my green juice and its perfect, because VOSS bottles look so simple and cute! 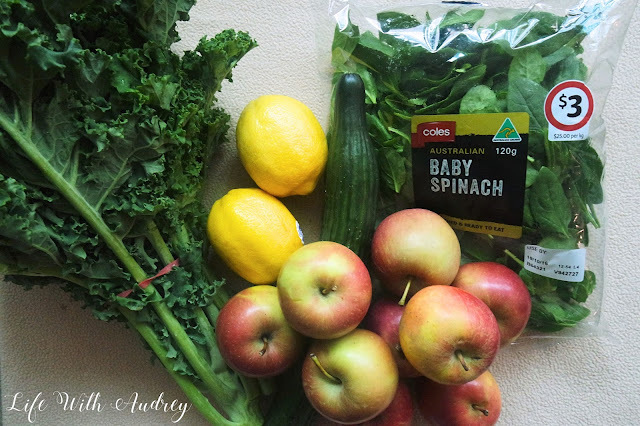 If you've decided to try out my green juice recipe, please let me know what you think! Don't forget to follow my social media! So much healthy! But this juice sounds really good too! This looks and sounds good! I'm gonna start juicing up too! Thanks for this. You're welcome :) Hope you like it! Love the recipes you share! Think its time for me to take my blender out and start detoxing! Just wondering.. How did the green pancakes look? LOL! One reason I don't like juicing is because I don't like removing and throwing away the fibre. Making pancakes seems interesting! The pancakes tastes really good honestly. They don't exactly looks that good. Haha depends on what you're after. They basically look like green pancakes..
Great health tips. Want to try this too. Thanks :) Do try it, you'll love it! I might try this! I've just started drinking lots of water with lemon juice and sliced strawberries in it, which is way healthier than the Coke Zero I usually have lol. Hahaha definitely a healthier option. But yeah, try this out and who knows, it may surprise you! I've always wanted to drink healthy green juice. Never found out how to do it. Thanks for sharing the process! You're very welcome :) Hopefully now you can try it and love it as much as I do! I think the apple makes the trick, it cover the taste of everything. I'll try this thou, it was a good recipe. Thanks! 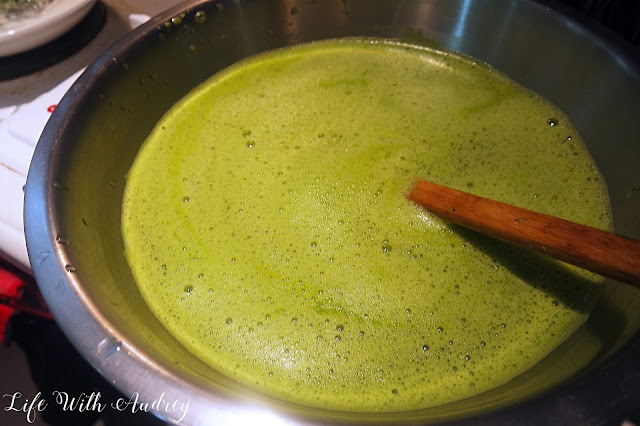 From the many times I've made this juice, I haven't found it to have any chalky residue so this just might be the recipe you're looking for! Hope it works out for you :) If it does or doesn't please let me know and maybe I can help. I love this recipe! I can't wait to try it now. Thanks :) Hope you'll like it! Thanks! 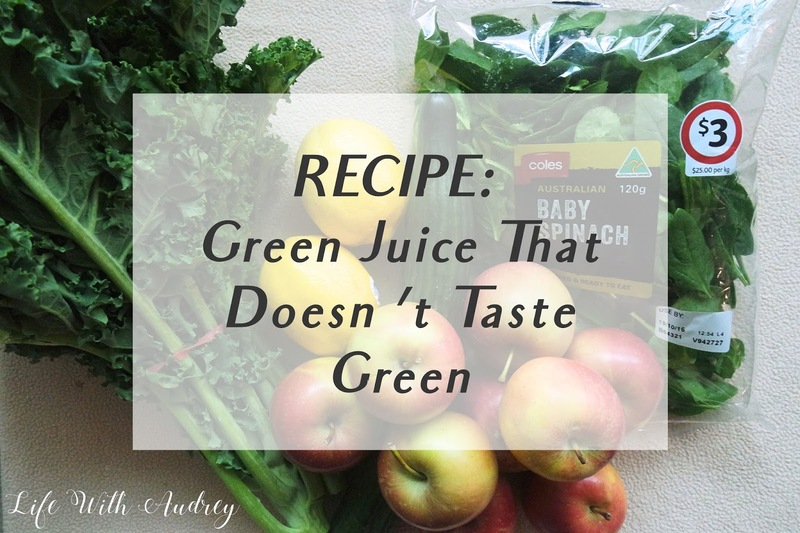 Me too, and that means that this is the perfect green juice for you! Hahaha time to put those bottles to good use! Yes! This juice will definitely keep you in great health for your travels. It'll also make your skin glow! Thanks for the receipe! I just bought a nutribullet last week so gonna try your receipe this week! Ohhhh a green juice that doesn't taste green. I've got to try! Thanks for sharing! YES! As hard to believe as that sounds, it's true! This green juice is loaded with healthy stuff. If it tastes as well as you say, we're sold. We'll give it try after our next visit to the produce aisle. Sounds great! Hope you guys liked it! Great! Hope you love it as much as I do! 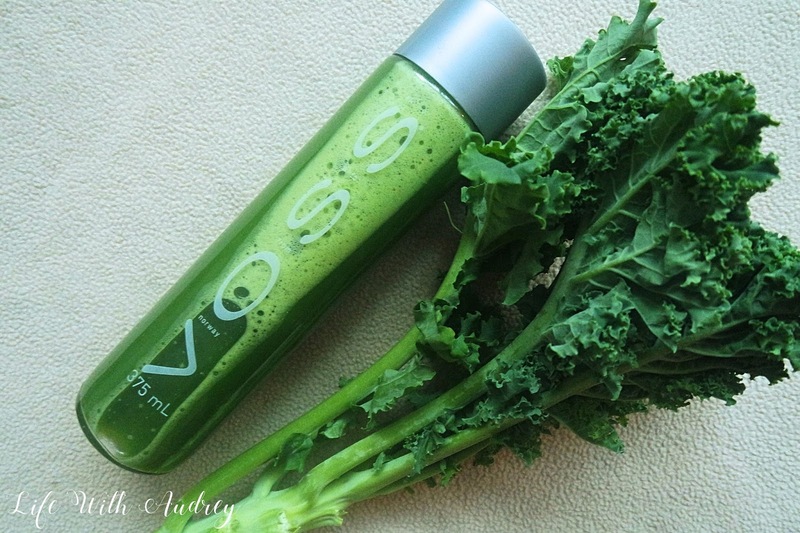 This recipe looks awesome, I love a good green juice! Green juices scare me but maybe I should start with this one! They used to scare me too. But i decided to just try it out one day, and I fell in love and have been making it every 2 weeks ever since! Go for it babe :) me too! It's a good idea to reuse the pulp to make into pancake!! I would always throw it away or use it as fertilizer for my plants. Yes :) There are many other ways to reuse it as well. But ingredients to make pancakes were the only things I had on hand at that time. I like this recipe, i want to try this also . Try it out! :) You won't regret it. Oh yes. That is one tasty juice! 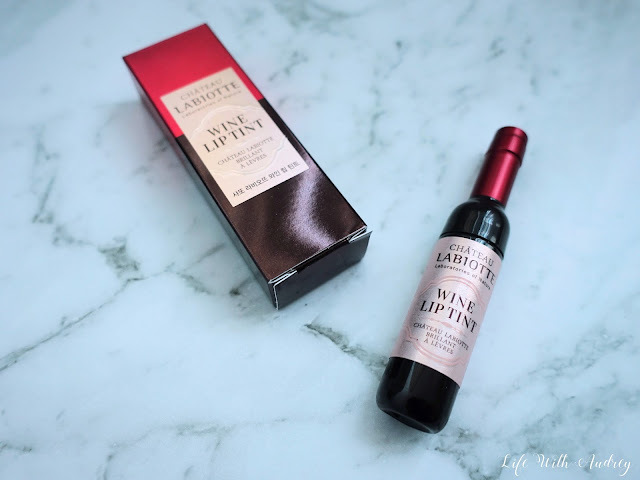 Can you send one bottle to me please? We are juicers too! I use a lot of apples and lemon as well. This looks pretty interesting so I 'll give a go. I'm not that much of a health fanatic, but once in a while, I do things that are right and good for me. Noting your recipe for one of those days. Sounds good! :) Hope you like it! I juice for a good 5 days at least every three months so this is awesome! Definitely bookmarking and thanks for listing out all the benefits. Its nice to know what these ingredients actually do! 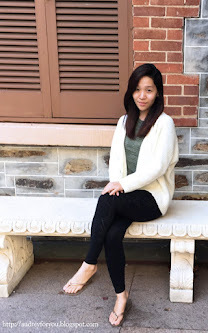 I write about a range of topics, from skincare and beauty to food, travels, etc.